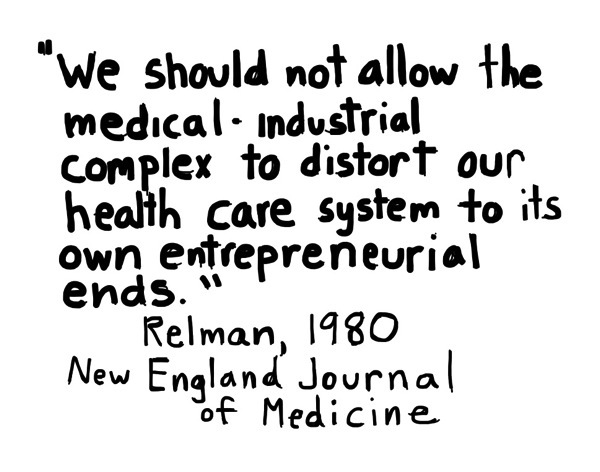 The Technological Revolution and Health Care: On the Same Track? Yesterday, I ran across an interview on Truthout.com by Mark Karlin. Mr. Karlin was interviewing the two authors of a new book, People Get Ready, by Robert W. Mc Chesney and John Nichols. Mr. Karlin’s first question, answered by Mr. Mc Chesney, intrigued me and got me thinking of what is happening in workers’ comp, as well as what is happening in health care. As I mentioned briefly in my last post, automation and artificial intelligence will have a significant impact on the future of workers’ comp, and this is emphasized in Mc Chesney and Nichols’ book. There have been other books and articles recently on the subject, so this is nothing new. But what got me thinking is that Mr. Karlin addressed the main question the book raises — namely that the conventional wisdom has always been that the more advanced technology becomes, the more beneficial it will be for humans. Mr. Mc Chesney responded that convention wisdom said that new technologies will disrupt and eliminate many jobs and industries, and that they would be replaced by newer industries and better jobs. Mc Chesney also said that they argue the idea that technology will create a new job to replace an old one is no longer operative; nor that the new job will be better than the old one. Contemporary capitalism is increasingly seeing profits generated, he adds, not by its fairy tales of entrepreneurs creating new jobs satisfying consumer needs, (remember Mitt Romney’s ‘job creator’ line of bs?) — but by monopolies, corruption and by privatizing public services. They are not the only ones arguing for such reform or revolution, Senator Sanders notwithstanding. In previous posts, I have mentioned the biopsychosocial theory, Spiral Dynamics, and the book by Said W. Dawlabani, MEMEnomics The Next-Generation Economic System. Other authors such as Richard Wolff, and Robert Reich have written books about this subject, and like Mc Chesney and Nichols have reached similar conclusions. Yet, Dawlabani, accessing the Spiral Dynamics model, goes much deeper into why we got here and what we need to do to get out of it. Such a future version of capitalism has been called by many different names that I have come across in the past decade or so. Natural Capitalism, conscious capitalism, and so on, to name a few. But the main point is as Mc Chesney and Nichols points out in their book, the technological revolution, rather than liberating humans and making our lives better, as Mc Chesney says in the interview, may have the perverse effect of reinforcing its stagnating tendency. An issue related to automation and artificial intelligence and its impact on the future of work, is if we are all replaced by machines and software, how will people be able to live? How will the goods and services produced by automation be sold, and to whom? Only those who are fortunate to have employment in jobs that machines cannot do? Or will we have to go back to a time when money was only the purview of those who had it? The answer to these questions have also been raised by those in the tech world, and one suggestion they have come up with is a national basic income (NBI), and naturally has already been shot down as a bad idea by those on the Right. I guess they really want people to be poor. But this idea should be kept on the back burner for now, as given the political climate in this country, that idea will be dead on arrival. Yet, while many have acknowledged what Mc Chesney, Nichols and others have said is happening, the other side — namely the current Speaker of the House and others in his party, have doubled down on their stubborn adherence to the rantings of a two-bit novelist, Ayn Rand and Ayn Randism. Which brings me to the other point I wish to discuss, and that bears on what happens in the overall economy at large. If automation and artificial intelligence will lead to elimination of many, if not all jobs, and if that will require a new economy as Mc Chesney and Nichols, and others have argued, what does that mean for the health care industry that seems to be going in the opposite direction? Even before the enactment of the ACA, health care has become more centralized, bureaucratic, consolidated and more profit-driven than ever. The ACA in many ways has accelerated this process, and the direction it is headed is towards a more consumer-driven form of health care, and one where large hospital systems have integrated physicians and insurance services into their business plan. The move among some physicians and physician practices towards concierge medicine, also is a sign that health care is moving towards a more capitalistic health care, in that it creates two classes — those who can afford concierge medicine, and those who cannot. The transition to a new economy will not happen overnight, and may not happen for some time, especially if the forces aligned against it remain strongly opposed to reform. But if the health care system collapses, as I mentioned previously in articles last week, then along with the stagnation of capitalism generally, there will be an opportunity to move in that direction in health care as well. Calling for ‘Medicare for All’ now with firm opposition to anything that spends government money or has a social benefit other than producing profit for a few, is only a waste of time and a con job. There are only two ways an economic system and its attendant political system changes; by revolution or evolution. One is violent and bloody, the other happens because the old is replaced by the new so seamlessly that no one gets too emotional when it happens. An election does not do that, especially when the opposition is headed toward fascism. That issue is for another time and place, and the rest of Mc Chesney and Nichols’ book discusses the current presidential campaign. I wanted to discuss the dichotomy between where capitalism is headed and where health care is headed, and at some point, health care will have to fall in line with the new capitalism. This entry was posted in ACA, Affordable Care Act, artificial intelligence, Automation, Capitalism, complexity, Consolidation, Health Care, Health Care Reform, Integration, Job loss, libertarianism, Medical Tourism, Medical Travel, Medicare for All, Technology, Workers' Comp, Workers' Compensation and tagged ACA, Affordable Care Act, artificial intelligence, Automation, Health Care, Job loss, Medical Tourism, Medical Travel, new economy, Technology, unemployment, Workers' Comp, Workers' Compensation on May 9, 2016 by Transforming Workers' Comp.